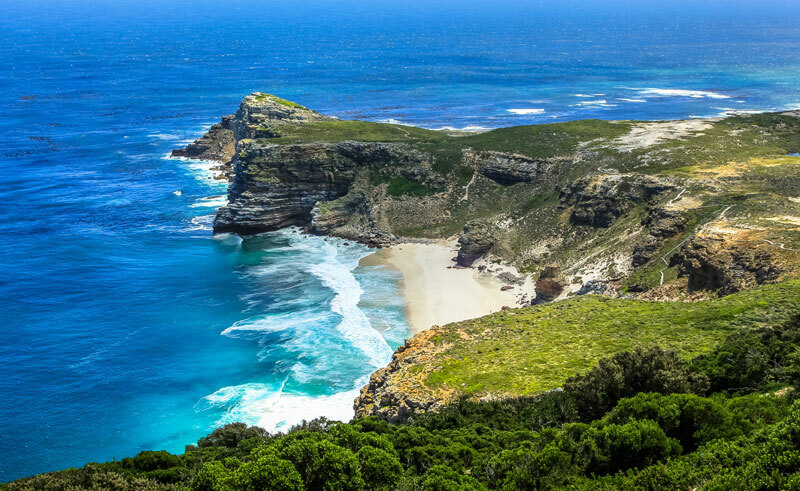 Today you embark on a full day tour of the Cape Peninsula. Take in the beaches of Clifton and Camps Bay, before crossing over to Hout Bay, where you may choose to join an optional boat cruise to Seal Island (own expense). From here you will drive to the Cape of Good Hope Nature Reserve via Chapman’s Peak, one of the world’s most breathtaking coastal drives, where you will board a funicular (optional, own expense) to get to the top of the peninsula to witness the symbolic meeting of the Indian and Atlantic Oceans and enjoy spectacular views over False Bay. After lunch (own expense), continue to Simonstown, the naval base, and visit a breeding colony of over 2000 endangered African penguins at Boulders Beach. Then stop at the world-renowned Kirstenbosch Gardens before arriving back at your hotel. Private tours are also possible – from £184 pp based on 2 passengers. Please contact us for more details.